If you are interested in installing a home charging station for your electric vehicles, there are several companies you can contact who will sell you a charging unit, install your station, or both. Average costs for installation for a 240-volt unit are averaging around $2,200, but can be much higher depending on the model you choose and the modifications necessary to your present electrical system. If you must hire an electrician to modify your electrical wiring, it is possible this alone can cost you several hundred dollars. 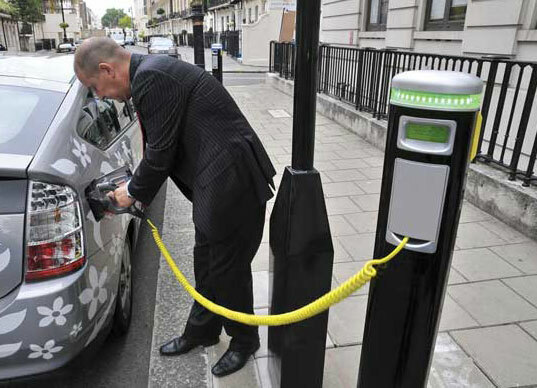 Here are some examples of companies well-known for both producing charging units and their installation services. Clipper Creek. This company is really aimed at commercial vehicle charging, but do offer home stations with varying voltage and amperage. Clipper Creek makes the charging stations for the Tesla Roadster and offers adaptations for a variety of needs. AeroVironment. This company has the exclusive contract to supply charging stations for the Nissan LEAF, the only completely electrical vehicle to be mass marketed to date. AeroVironment has been making chargers for many years and has evolved through the changes in EV technology. Coulomb. (now chargepoint) This company is responsible for the majority of widespread public charging stations and are developing Level 2 chargers for home use. While not widely available, predictions are that Chargepoint will enjoy as much success with individual stations as with its public chargers. GE. The WattStation is GE’s entry into the EV charger market, and while the company released only commercial or fleet chargers at first, a home model is anticipated soon. GE has the company infrastructure and brand name recognition to break into the home charging market with large numbers of sales, assuming that its home charging stations are reliable and reasonably priced. Leviton. The new line of Evr-green charging stations offer both Level 1 and Level 2 charging capabilities and will work with the ChargePoint network by Coulomb. Leviton is also one of the few companies that offers a pre-wire installation which is much cheaper than a full installation, and allows consumers to do some of the work themselves to save money. It also allows consumers to upgrade from a Level 1 to a Level 2 system with no professional installation necessary. The prewire systems start as low as $200 and greatly reduce installation times as well as allowing flexibility for future installation options.